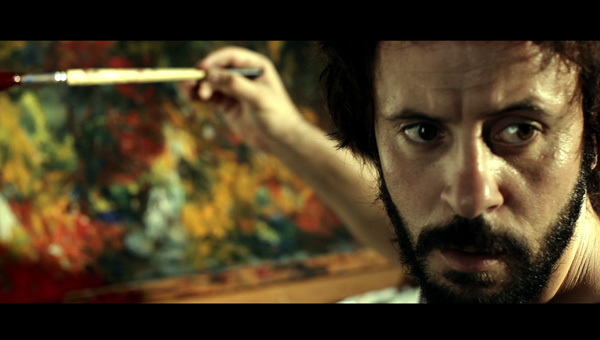 A painter’s resistance, courage and spirit can never be imprisoned in this highly stylized story of the conflict of two frustrated artists on either side of Israel’s militarized borders. Mars at Sunrise stars Ali Suliman as Khaled, Golden Globe Winner for Best Foreign Film 2005, Paradise Now; Guy El Hanan as Eyal, an Israeli radio personality and an accomplished playwright; and Haale Gafori as Azzadeh, singer of Brooklyn’s The Mast and author of the film’s original poetry. The soundtrack comes in six languages (English, Hebrew, Russian, Yiddish, Farsi and Arabic) and was produced by Tamir Muskat of the Balkan Beat Box, and featuring original music by Itamar Ziegler and Mohsen Subhi. Jessica’s documentary works Beyond Blue and Gray and Art and Apathy received awards at several film festivals including Tribeca Film Festival, The Cannes Short Film Corner and Berlinale Talent Campus. 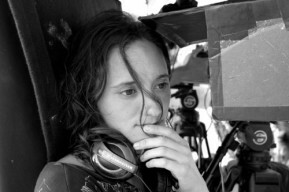 Her first feature Mars at Sunrise was produced by Baher Agbariya (Thirst Attash, Last Days in Jerusalem, Man Without a Cell Phone, Omar) and edited by Luis Carballar (Amores Perros,Manorca, Sin Nombre, The Devil’s Double, Immigrant) and ErezOs. Sound Design was done by Martin Herndandez, (Amores Perros, Babel, Into the Wild, The Loneliest Planet, On the Road).